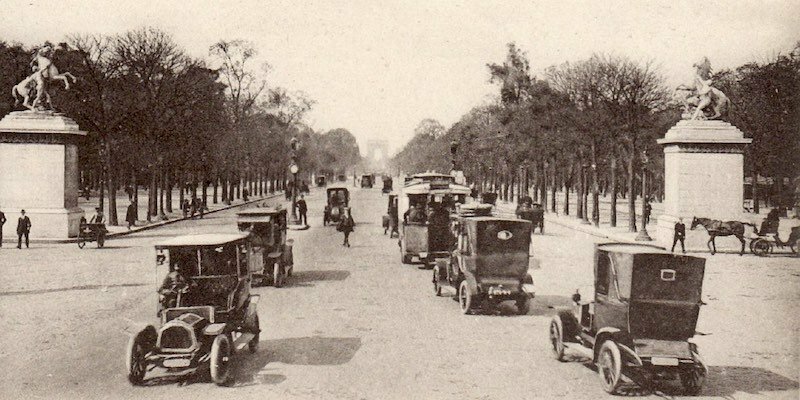 The Champs Elysées is like the spine of the 8th Arrondissement, running its entire east-west length, from Place de la Concorde (in the 8th) to the Arc de Triomphe, where the 8th, 16th, and 17th Arrondissements meet. 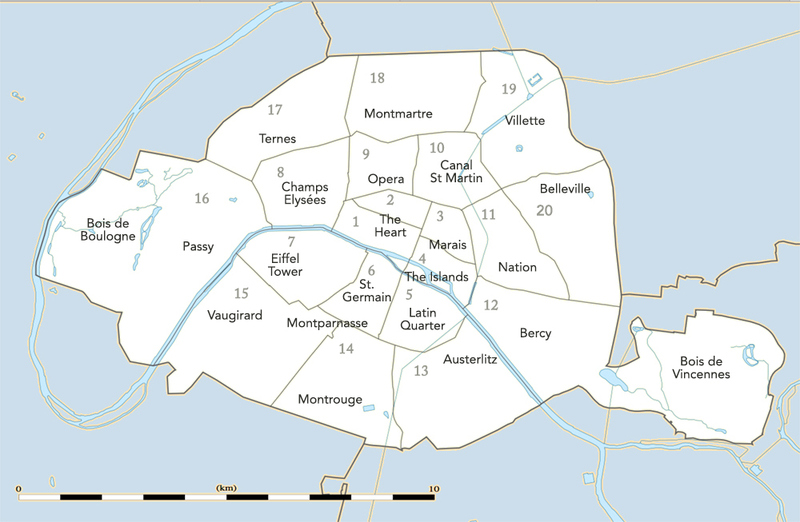 Like some other Paris arrondissements, the 8th is defined by the Seine and certain landmarks. 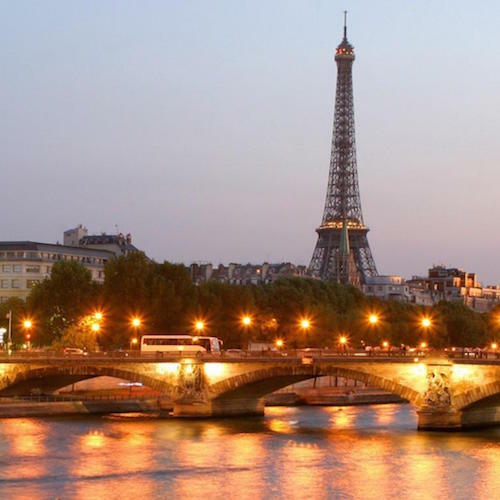 The river is its southern border and landmark points are Place de la Concorde, Place de l'Alma, with its bridge and golden flame, the Arc, Place des Ternes, Place de Clichy, and the church of La Madeleine. 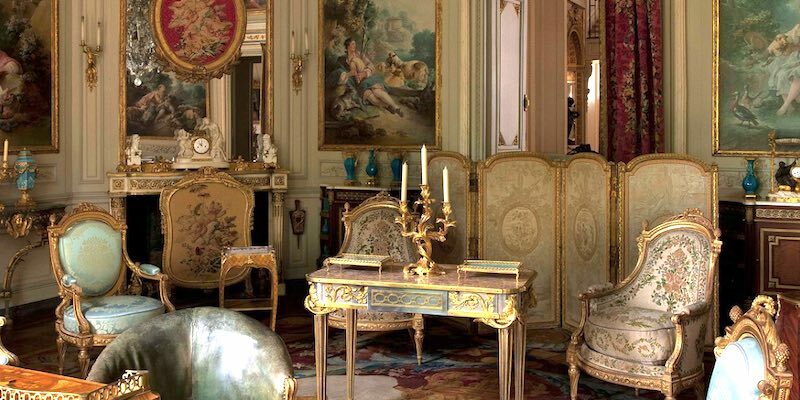 This beautiful private mansion abutting Parc Monceau was once owned by a wealthy Parisian family, the last of whom were murdered by the Nazis during World War II, with the complicity of Vichy authorities. Today it's a museum and a memorial to the de Camondo and their son, Nissim, an early fighter pilot who was killed in World War I. Inside you'll discover an impressive collection of furniture and objects from 18th-century France, sort of a legacy to a lost era. Entrance is free with the Paris Insiders Pass. 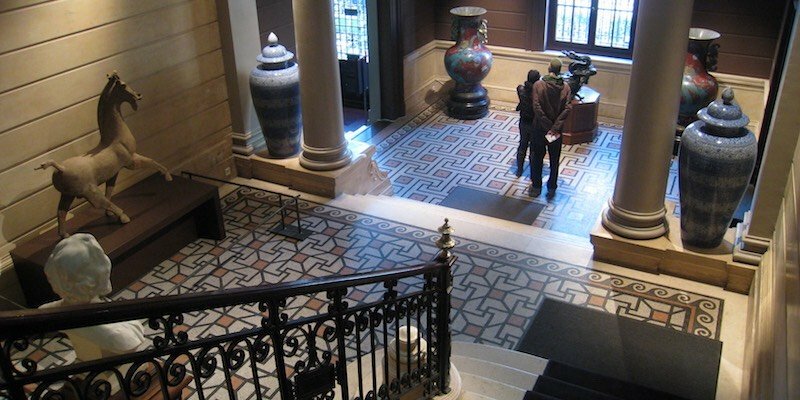 Near Parc Monceau, this museum is the remarkable collection of financier Henri Cernuschi — 20th-century paintings, Chinese art, and Far-Eastern art collected during his travels. This is a City of Paris Museum and entrance is free. 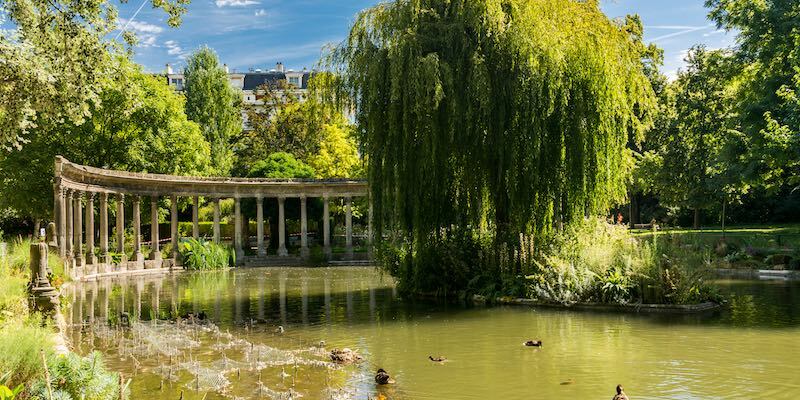 After you complete your visit, make sure to take a stroll in nearby Parc Monceau. On the northern border of the 8th Arrondissement is this elegant and pleasing park built as a private garden for the Duke of Orléans in 1778 by the painter Carmontel. 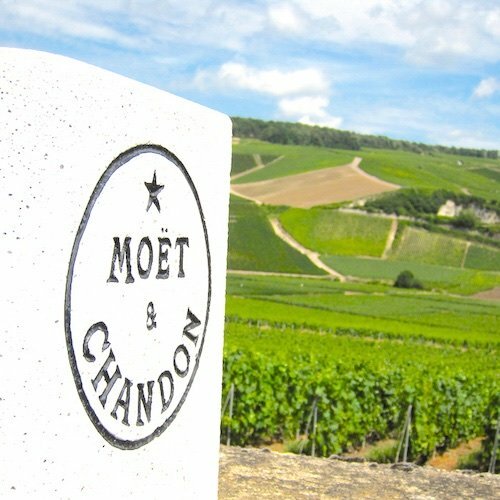 In those days the Monceau area was outside of the gates of Paris. The artist filled the garden with quirky architectural elements like a pagoda, a pyramid, even a Roman temple. 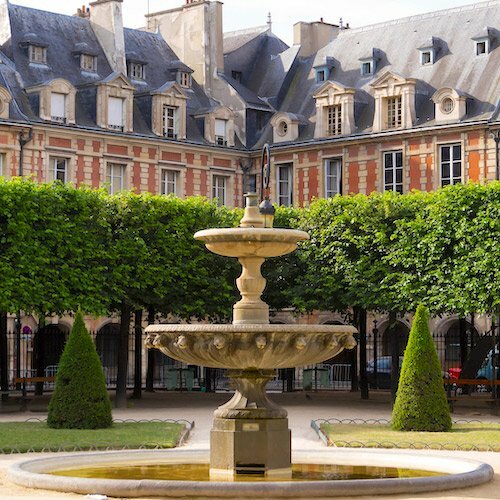 During the renovation of Paris by Baron Haussmann in the mid-19th century Parc Monceau was annexed by the city and was revamped to give it the English garden style you see today. There's a pond, bridges, and all sorts of odd elements that were gathered from around Paris during the renovation. Perhaps the most famous is the semi-circular colonnade by the basin that may have been part of an unfinished mausoleum of Henry II (1519 – 1559). Another thing we find interesting about Parc Monceau is the round building at the north entrance to the park. Known as the Barrriere Monceau it was one of the round tollhouses built around the old city wall about 1785, just before the French Revolution. There were supposed to be something like 50 of these toll-collecting posts built, but there are only four still in existence today. The Petit Palais is right up against the Seine at Pont Alexandre III and directly across the street from its bigger sibling, the Grand Palais. 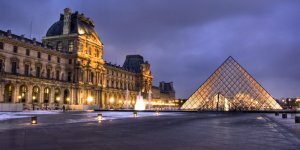 It was built in 1900 for the Universal Exposition held in Paris that year, and it now houses the Musée des Beaux-Arts — Museum of Fine Arts — of the City of Paris. Renovated not very long ago, the Petit Palais is brimming with a wonderful collection of outstanding paintings. Visit the stunning winter garden featuring mosaic-trimmed ponds and colonnades, or sit outside in the warm months and take some refreshments. 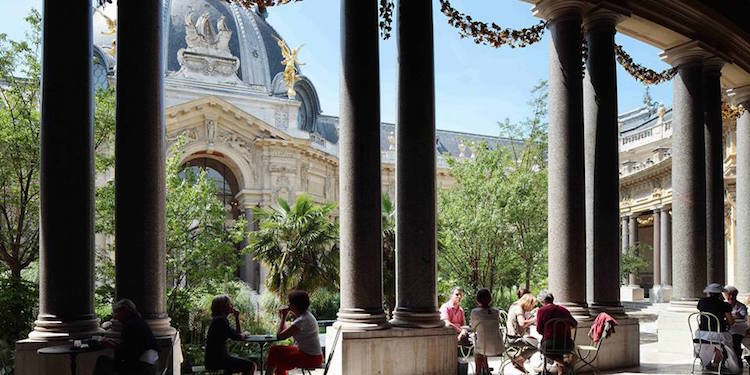 The Petit Palais also stages special exhibitions, recently a popular one about Oscar Wilde and his time in Paris. 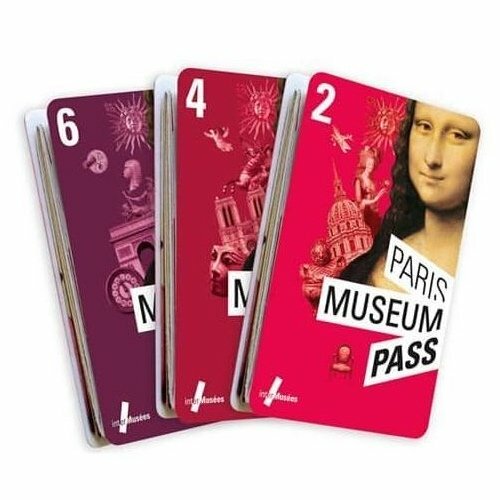 The PP has our favorite museum gift shop in Paris! Because it's a City of Paris museum, entrance in free, except for some of the special shows. 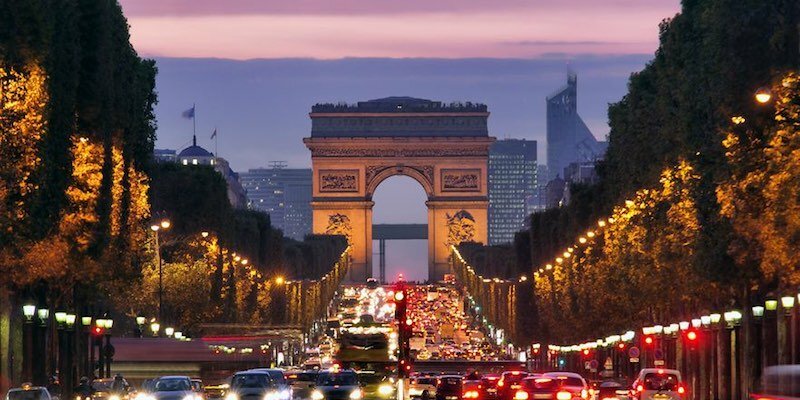 Champs-Elysées is arguably the most famous street in the world. Some Parisian still call it "la plus belle avenue du monde", although the proliferation of stores geared to tourists is putting that claim to the test. The sidewalks are usually jam-packed with visitors and the street itself is bumper-to-bumper cars. However, that is starting to change. 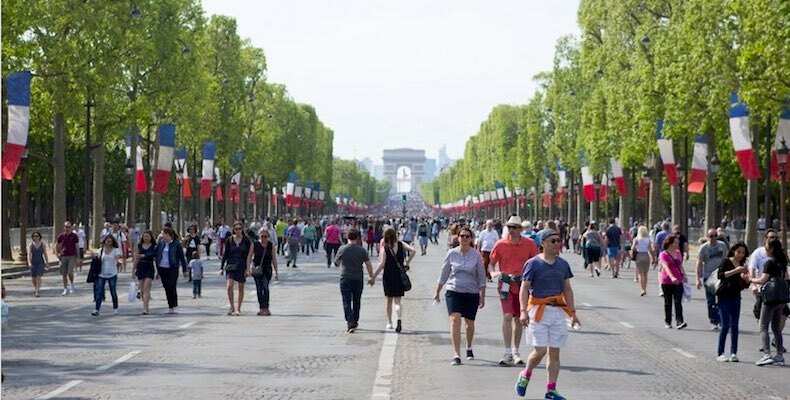 The City of Paris, under the guidance of forward-thinking mayor Anne Hidalgo, has declared the first Sunday of every month to be car-free along the Champs-Elysées. "Come to breathe a lung full of air," the City Council tells citizens and visitors, "and enjoy a walk along the avenue without encountering any traffic." There are other traffic-reducing initiatives being planned for central Paris, so stay tuned! Today it's hard to imagine that this stately square, covering 21 acres, was once a swamp. In 1755 Louis XV had architect and garden designer Ange-Jacques Gabriel build an eight-sided royal place to connect the Jardin de Tuileries to the Champs Elysées. 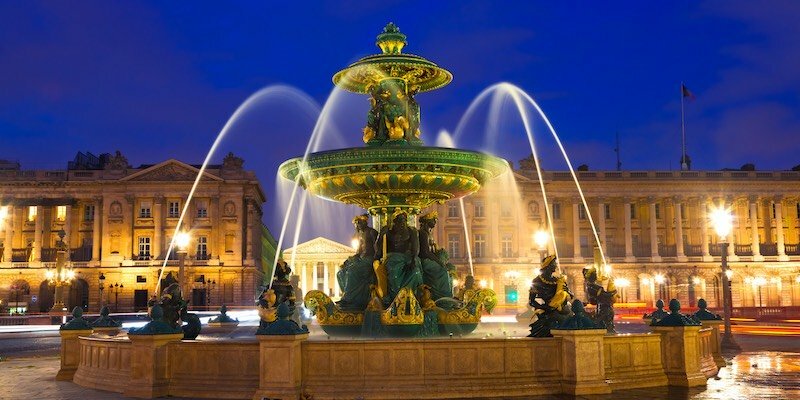 In the center a statue of Louis XV was erected and the new square was christened Place Louis XV. All that royal splendour lasted less then 20 years when the French revolutionaries pulled down the statue and replaced it with the guillotine. Flanking the entrance to Champs-Elysées from Place de la Concorde are two sculptures of rearing horses. 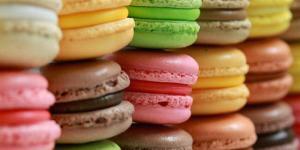 These were created by the Coustous brothers for Louis XIV's Chateau de Marly. When the chateau was destroyed in the Revolution, the statues were moved here. What you see today are replicas of the statues. 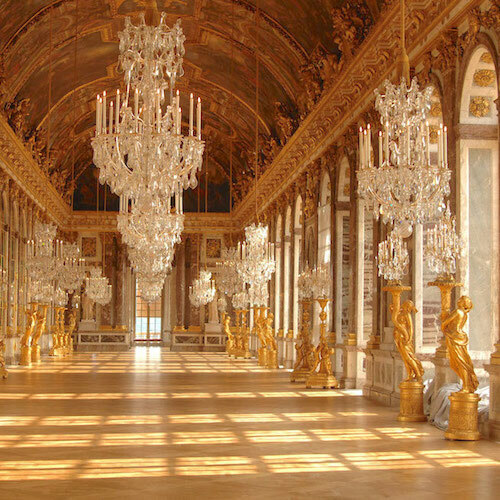 The originals were moved in 1994 to La Cour Marly, the glass-covered courtyard of the Louvre. 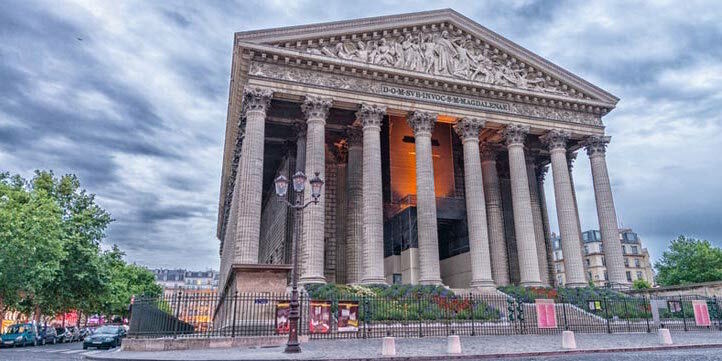 With a history as stormy as the French Revolution itself, Eglise de la Madeleine, located in the center of the place of the same name, was first conceived as a monument sited at the top of Rue Royal that would set off the new Place Louis XV. (This was back in around 1864.) A domed structure was first proposed, the site was readied, and then the Revolution interfered and work was abandoned. Under Napoleon, work was started again. Until, that is, Napoleon himself was halted. In 1837 it was proposed as the location for the city's first railroad station and the current design was drawn up. 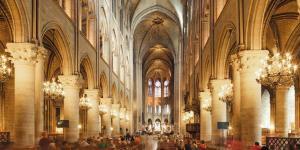 Finally, it was France's last king, Louis XVIII, who decreed that it would become a church. The twenty-eight monumental steps lead up to the fifty-two giant Corinthian columns, a bit of ancient Greek architecture in the middle of Paris. Eglise de la Madeleine is today known for its splendid organ, which was played when Chopin's funeral service was held here. A memorable thing to do when you're in Paris is to attend a classical music concert inside this monumental church. At the top of the most famous avenue in the world is the most famous triumphal arch. 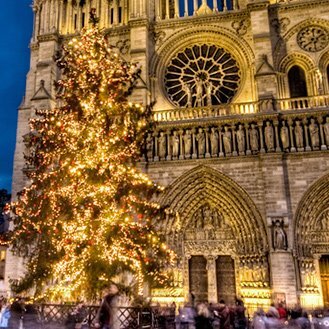 The Romans pretty much started this whole arch thing — you can still see one of their arches in Orange, in Provence — but we feel it was Napoleon who perfected it. 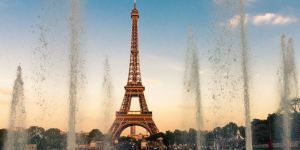 The view of Paris from the top of the arch is one of our favorites, and you can climb the stairs to the top for free if you have the Paris Insiders Pass, otherwise there's a fee of around ten Euros. From the top you can look out onto the streets of the 8th, 16th, and 17th Arrondissements, which all meet beneath the Arc de Triomphe. Along the short Avenue Winston Churchill is a grouping of three exuberant examples of Art Nouveau architecture — Pont Alexandre III, the Petit Palais, and the big brother facing it, the Grand Palais. 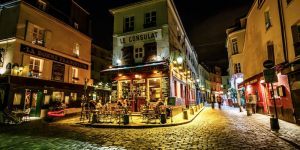 Because of these three architectural flights of fancy, this small part of Paris feels different from the rest of the city. Like the Petit Palais, the Grand Palais was built for the world's fair held in Paris in 1900, the Universal Exposition. 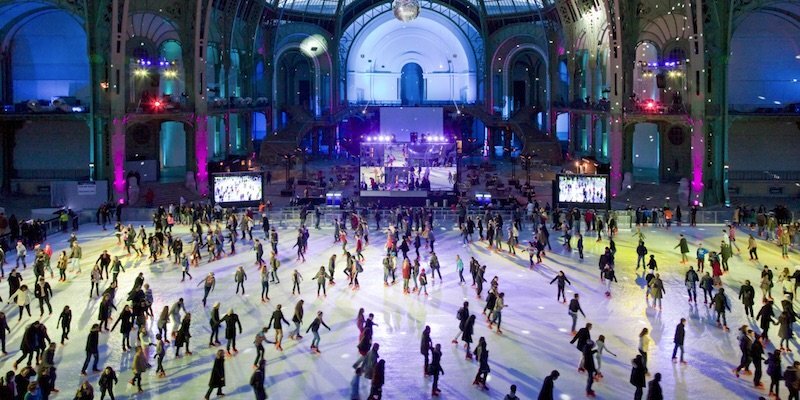 Famous for the vaulted and domed glass ceiling, that floods the interior with light, as well as its magnificent staircase, the 54,00 square feet today host art shows, book fairs, special exhibitions, and even a skating rink in the winter! It's worth attending an event there just to get inside the building. This hands-on science museum located in the Grand Palais complex has been Alexandre's favorite in Paris for a decade or more. 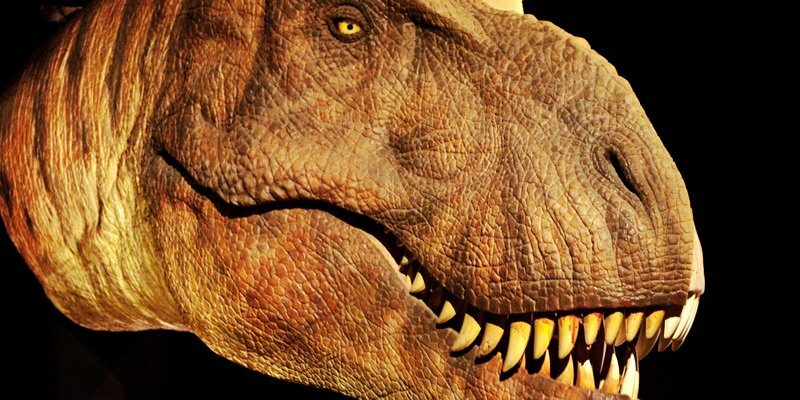 There's a planetarium, lots of fun exhibits that teach kids about science while they play, the rat school, ant farms, and lots of special exhibitions about moving dinosaurs, giant insects, apes, light, hair. When you come up out of the Metro at station Champs-Elysées-Clemenceau (in front of the Grand Palais) you find yourself at Place Clemenceau, named for famous French politician Georges Clemenceau who helped France rally during and after world War I. 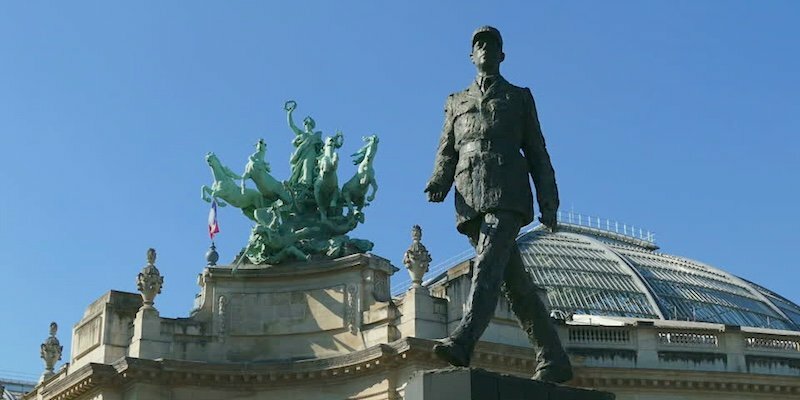 On this place you find a large statue of… Charles de Gaulle. 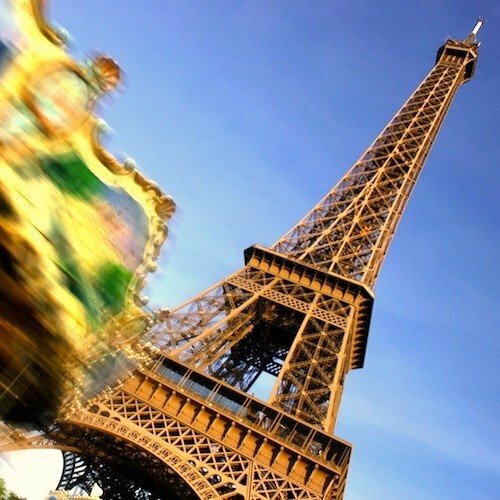 That's right, it's the World War II leader of France, striding into the future. It's not as odd as it seems, though, because just across the street from Charles is a bronze statue of Georges. It's expensive, it's always crowded with Japanese toursits, and you may have to wait in line to get in, but it's worth it to wander among some of the best-made luxury-label clothes you're ever going to see. Take some time to examine the craftsmanship and, if you dare, try something on. Gare Saint-Lazare is the only train station in the western part of Paris and it's right on the border between the 8th Arrondissement and the 9th. 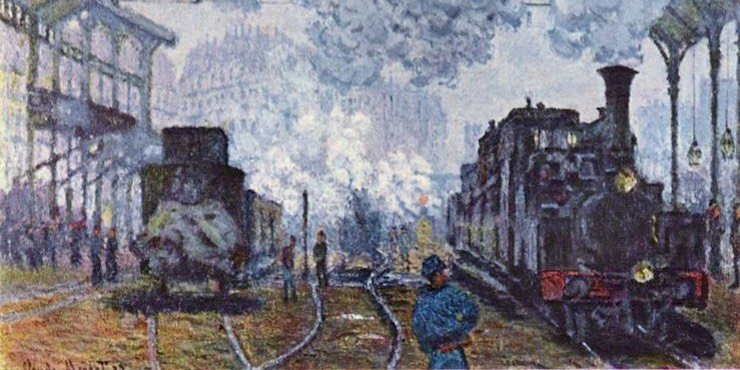 This was the setting for a surprising number of Impressionist paintings, especially by Monet, who was intrigued with waiting the steam clouds emitted by the engines. Today you head to Gare Saint-Lazare to catch trains to Mont-St-Michel, Dieppe, Le Havre, Caen, and Deauville, among other destinations. We were surprised to learn that it's the second-busiest train station in Paris. 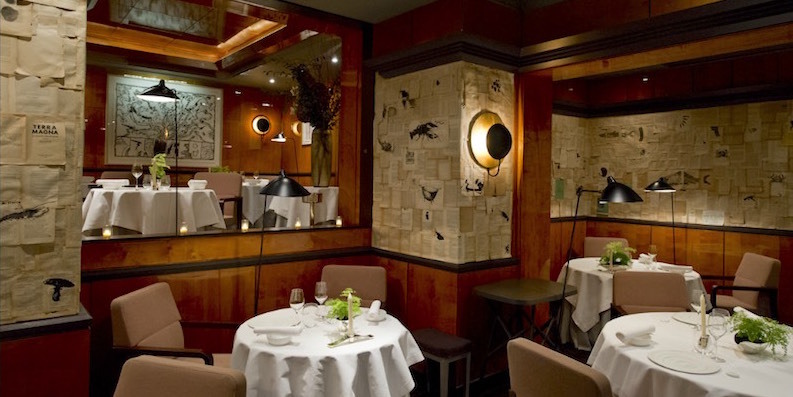 Pierre Gagnaire's restaurant has been opened in this location on Rue Balzac since 1998, and has held three stars for almost that entire time. (He received two stars the year the restaurant opened, three stars ever since.) Found on a small side-street about as close as you can get the the Arc de Triomphe, it's a surprisingly quiet and calm enclave. In the intervening years, Gagnaire has expanded his small empire by taking over two other restaurants in Paris — Gaya in St-Germain and the legendary Le Fouquet's on Champs-Elysées — as well as opening restaurants in Tokyo, Hong Kong, and elsewhere, but we think this is still his best, and one we cite as being worth a splurge. 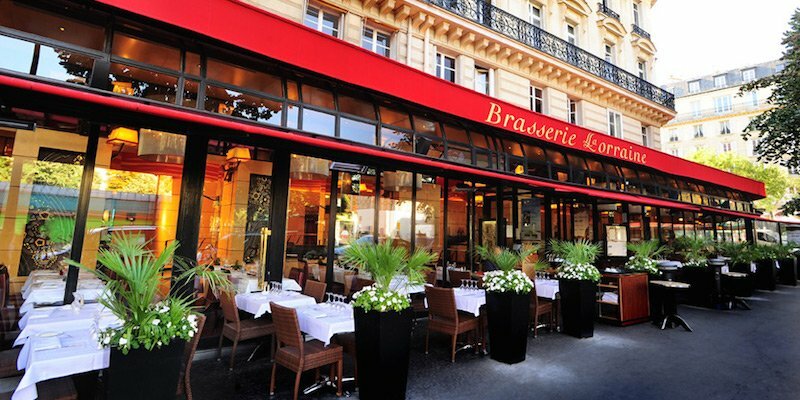 It's a typical Brasserie on Place des Ternes at the edge of the 8th, and it oozes Parisian dining with its elegant room, white tablecloths, professional service, and French specialties. It's not a restaurant you're going to read about in many best-of lists, but it's a great place to dine. We love going here for the terrace on the place and for the oysters. 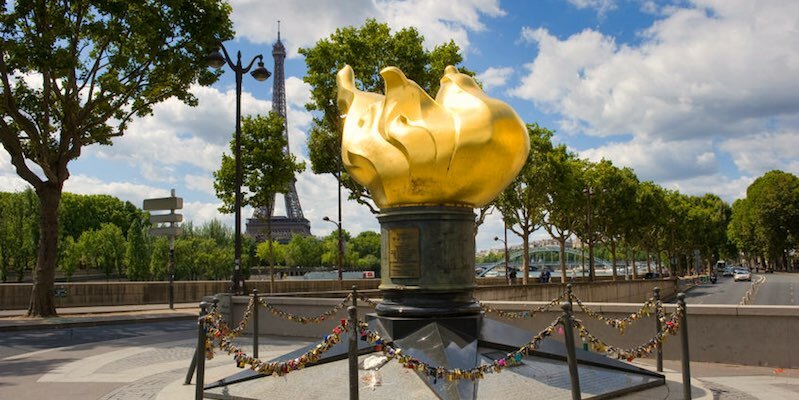 The flame of the Statue of Liberty is found at Pont d'Alma on the Seine. This is a a full-sized, gold-leaf-covered replica of the flame at the top of the torch on the statue in New York. 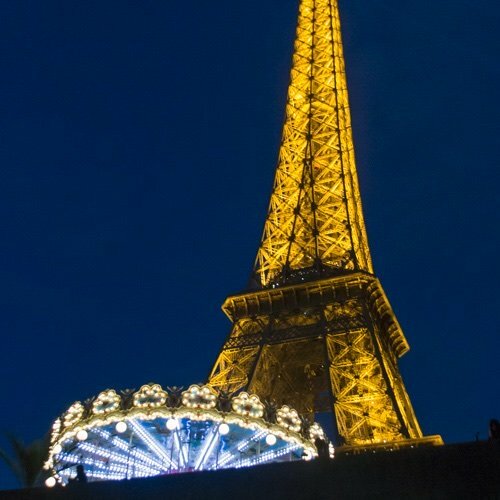 The monument was the result of a campaign by the International Herald Tribune to celebrate its hundredth anniversary of publication in Paris, and the flame was dedicated in 1988. Since Diana, Princess of Wales, was killed in the tunnel beneath the quay in 1997 the flame has become a sort of unofficial memorial to her life and charitable works. The retail section of Avenue Champs-Elysées has somewhat been given over to tourist shopping, but there still are nice luxury brands like Louis Vuitton, Hugo Boss, and Lancel. But Avenue Montaigne — between Place Franklin D. Roosevelt and the river — is to haute couture what the Louvre is to art. Located in luxury townhouses, you'll find store after store of today's high fashion brands — Chanel (with two stores), Salvatore Ferragamo, Dolce & Gabbana, Dior, Nina Ricci (showing the most beautiful lingerie in the world), Valentino, Prada, Bottega Veneta, another Louis Vuitton, and… the Canadian Embassy. 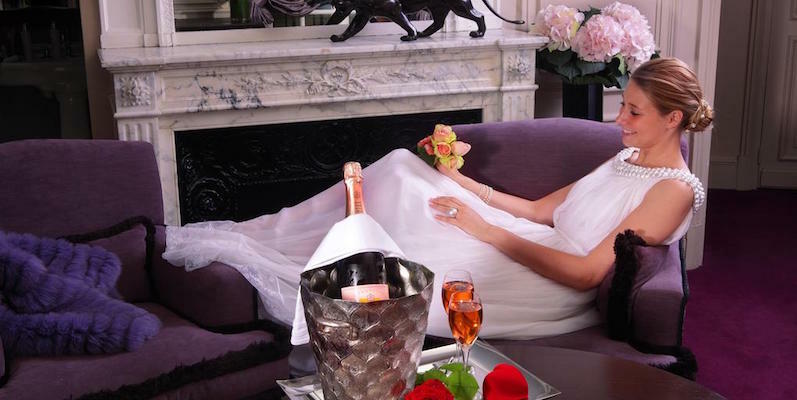 The sheer number of luxury stores is a hint that there's also no shortage of luxury hotels in the 8th. 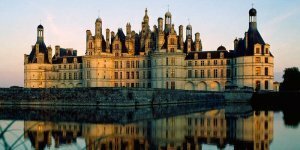 In fact, here's where you find the highest concentration of 5-star and Palace hotel in Paris, and these are all world-class accommodations. 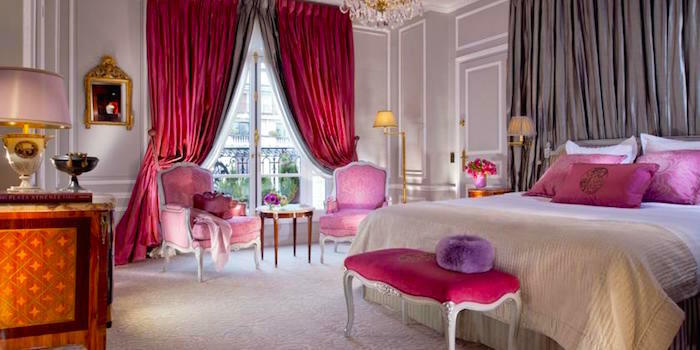 Gorgeous rooms, top-notch service and close to all the best of Paris shopping, museums and monuments, Plaza Athénée pretty much defines luxury. And that's confirmed by the hotel's prestigious Palace rating, more luxe than five stars. 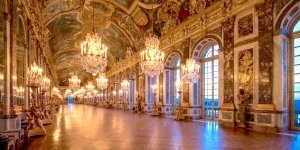 "Unforgettable luxury," a visitor has opined and the Monceau's Palace designation confirms that. 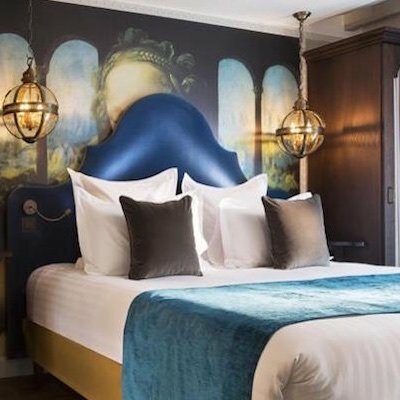 Designed by Philippe Starck, this 8th Arrondissement hotel is a breath of fresh air compared to the old-fashioned Louis XIV feel of some other luxury hotels. 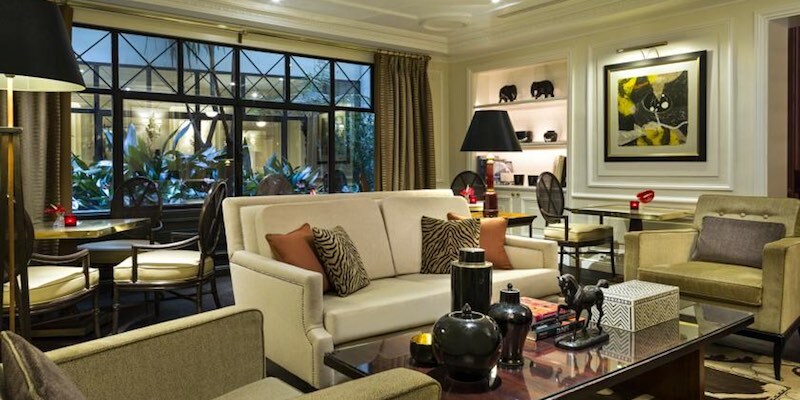 Occupying a 19th-century hôtel, the Lancaster has the feel of an elegant private mansion, and in a most serene way. In our review we say that "Zen" could be the Hotel Lancaster's middle name. 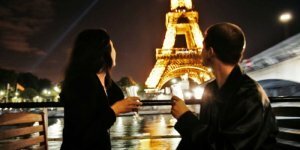 Experience the art of living à la Française. And it's not just us. Travelers, too, rave about this 5-star hotel. Generously-sized room with separate Jacuzzi baths and showers plus Hermés body care products all make for a luxurious stay in the 8th Arrondissement. 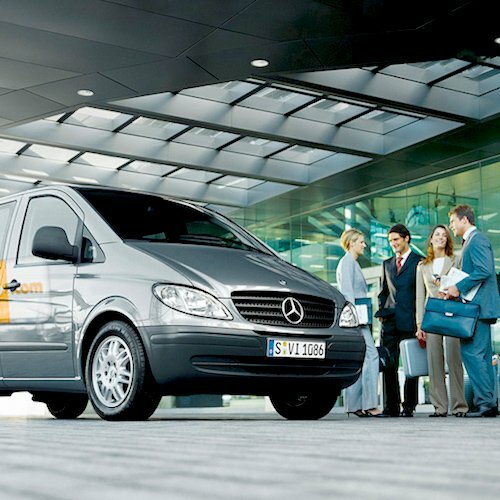 We rate it Superb. 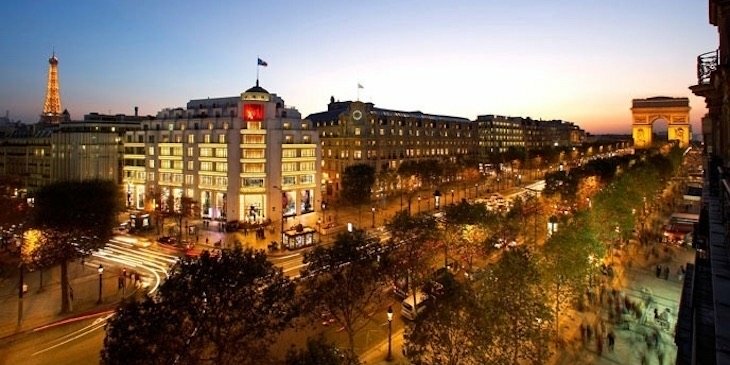 This elegant hotel is just off Champs Elysées and close to the Louis Vuitton flagship store. 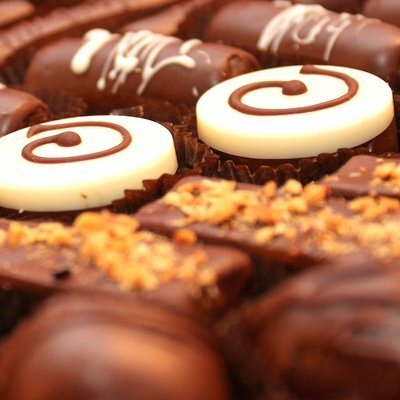 The details make this Paris hotel special — a free glass of champagne, chocolate on your pillow… "After 18 trips to Paris, I finally found this little gem", enthused a recent visitor. For our part, we rate it Superb. Metro Line 1 runs along Champs-Elysées and can get you a lot of interesting spots in Paris since it traverses the entire city from east to west. Stations in the 8th are Concorde, Champs-Elysées-Clemenceau,Franklin D. Roosevelt, George V, and Charles de Gaulle-Etoile. Other Metro lines cross the 8th running more or less north and south. Lines 12 and 8 pass through Concorde. Line 13 through Clemenceau. Line 9 passes through Franklin D. Roosevelt. Etoile is also served by Line 2 and 6, forming arcs through the north and south or paris respectively. Three metro Lines cross at St-Lazare — 3, 12, and 13. Theatre des Champs-Elysées at 15 Avenue Montaigne is where Stravinsky's revolutionary ballet Rite of Spring premiered in 1913. The outrage and resulting riot are the stuff of music legend. 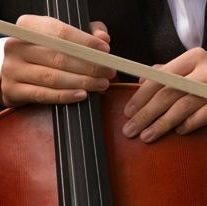 Today, you can still attend performances of classical music at the historic theatre.